Yahoo! Inc. on Friday confirmed that personal information associated with at least 500 million accounts was stolen from company's networks and has blamed 'state-sponsored' hackers. In a statement the company said that information leaked includes names, email addresses, telephone numbers, date of birth, hashed passwords in possibly the biggest hack in the history. "Yahoo believes that information associated with at least 500 million user accounts was stolen and the investigation has found no evidence that the state-sponsored actor is currently in Yahoo's network. Yahoo is working closely with law enforcement on this matter," said the statement. However, the company says that the stolen information did not include unprotected passwords, payment card data, or bank account information. The company has now started alerting the users to change passwords, security questions and take preventive measures. "We invalidated unencrypted security questions and answers so they cannot be used to access an account. We are recommending that all users who haven't changed their passwords since 2014 do so. We are asking potentially affected users to promptly change their passwords and adopt alternate means of account verification," the statement added. The massive data breach comes only two months after Yahoo! Inc. had agreed to sell its core operations to US telecom giant Verizon Communications Inc. for $4.83 billion. The leak could possibly impact the billion-dollar deal which is expected to close in the first quarter of 2017. According to a report on CNN Money, Verizon Communications Inc. said that it only learned about the breach in security two days ago. 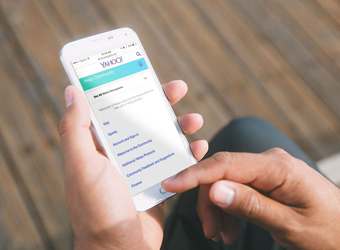 "We understand that Yahoo is conducting an active investigation of this matter, but we otherwise have limited information and understanding of the impact," a spokesperson for Verizon said.